Zack Nelson stared into his hyperphone. On the screen he saw Bert, his best friend from Earth. Zack and his family used to live on Earth. Now they lived on the planet Nebulon. “What are you doing today, Bert?” asked Zack. “We’re painting Easter eggs,” Bert replied. In the background Zack could see Roberta and Darlene, Bert’s two younger sisters. The girls ran into the room carrying a painting set and a basket full of eggs. “Remember when we used to decorate eggs together?” Zack asked. Zack and Bert both started laughing hysterically. “So how do they celebrate Easter there on Nebulon?” asked Bert. Zack thought for a moment. “Are there eggs on Nebulon?” Bert asked. “Excuse me, Master Just Zack,” said a voice from a speaker just above Zack. “What’s up, Ira?” Zack asked. Ira was the Nelson family’s Indoor Robotic Assistant. Although he was a machine, Ira had quickly become a part of the Nelson family. “Dinner will be ready in five minutes,” Ira explained. How will we celebrate Easter? Zack wondered as he left his room and headed downstairs for dinner. 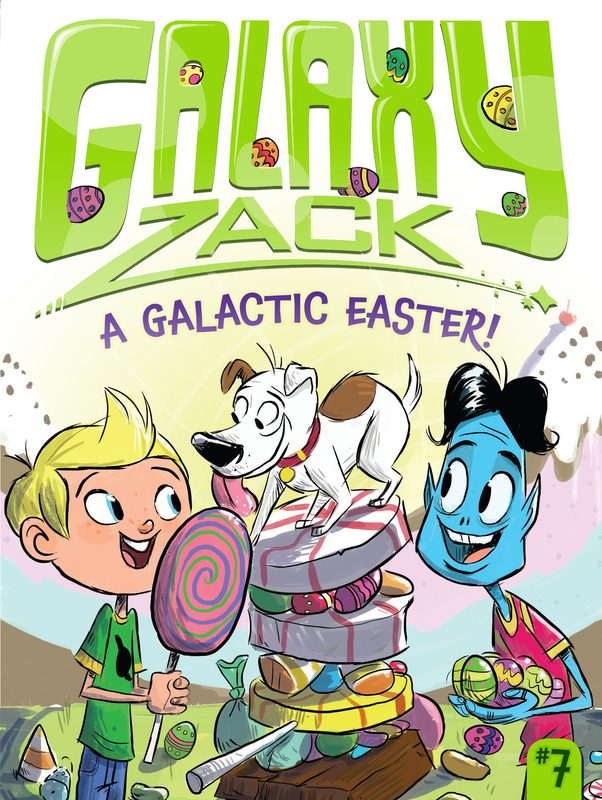 Book Cover Image (jpg): A Galactic Easter!